Although his name is familiar in every music school, Nicola Vaccaj is almost forgotten as opera componist. Actually, he’s remembered for his Practical Vocal Method, still in use, but at the same time he composed many operas. 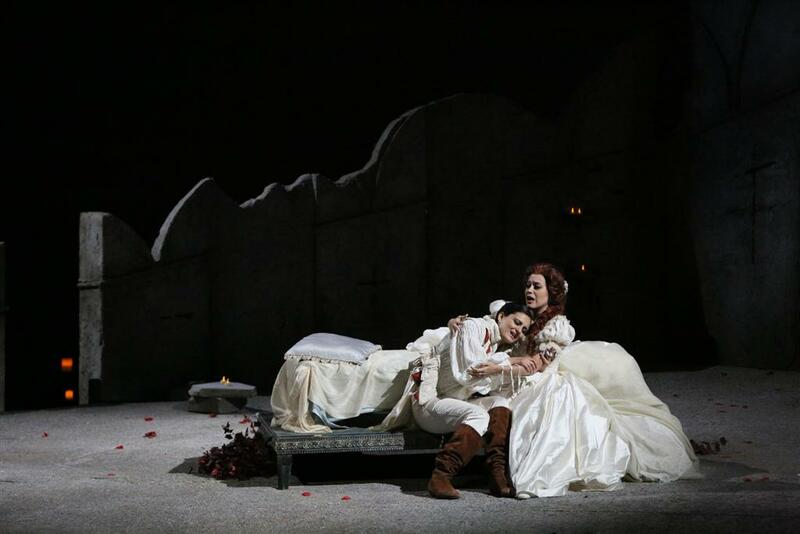 The most famous is Giulietta e Romeo, that after the first performance in 1825 became so popular that Maria Malibran choose to use its final scene instead of Bellini’s when she performed Capuleti e i Montecchi. Giulietta e Romeo had very few reprises in 1900s so this one in Martina Franca was eagerly awaited. 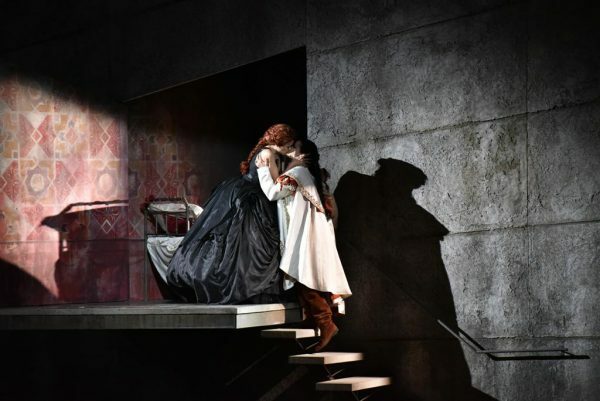 Librettist Felice Romani wasn’t faithful to Shakespeare’s original: the story is more focused on the side of Capuleti, with a special relief to Giulietta’s mother while the nurse disappears as well as Mercuzio, and Father Lorenzo is only a family’s counselor and not a religious figure. Musically speaking it’s a fine work, with good, sometimes very good or excellent writing. 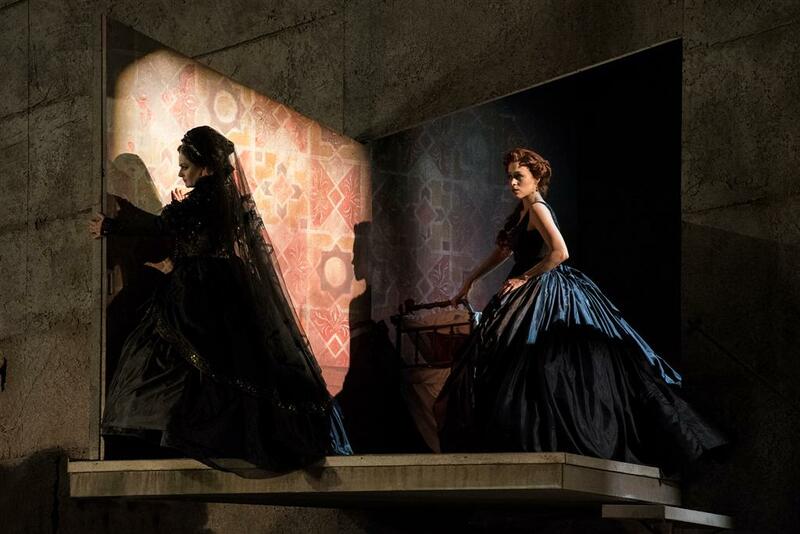 With intelligence director Cecilia Ligorio has worked “into” the opera focusing the dramatic core of every scene with bysides or counterscenes, once in a while enriching the spirit of the drama instead of being annoying. There were many subtle indications in this performance, like the first duet between the two lovers disquietingly ending on a grave situated on one side of the stage. Or the care for simple gestures, such as the maternal care Adele uses for comforting her daughter while the severe father impose ‘obbedisci’ (do obey! ), or how frenzied Giulietta looks while she’s forcedly taken to the wedding. And how to forget the desperate grief of Giulietta’s mother or the enigmatic mysterious figure that slowly enter the lovers’ tomb, silent witnesses of their final duet? Apart a flawless melodic line with a convincing sense of legato, spanish soprano Leonor Bonilla had the right lyric timbre, with a melancholic note that made her Giulietta specially touching. Italian Mezzo Raffaella Lupinacci was equally effective as Romeo: with her dark but at the same time softed mezzo specially solid also in the lower notes, she was a strong hearted lover, and always persuasive as a peace messenger (Se Romeo t’uccise un figlio) or as a fiery rival to Capuleti (La guerra bramata). In the duets with Bonilla, their voices blended perfectly. Leonardo Cortellazzi embodies with strong accents and a firm well timbred tenor the autoritarive Capellio, Giulietta’s father. Paoletta Marrocu shows how a real artist’s stage presence, deeply moving in her acting. The same expressivity we found in her singing although a too large vibrato makes sometimes her vocal line not as much admirable. Young baritone Christian Senn portrays Lorenzo with sensitivity and warm tones. 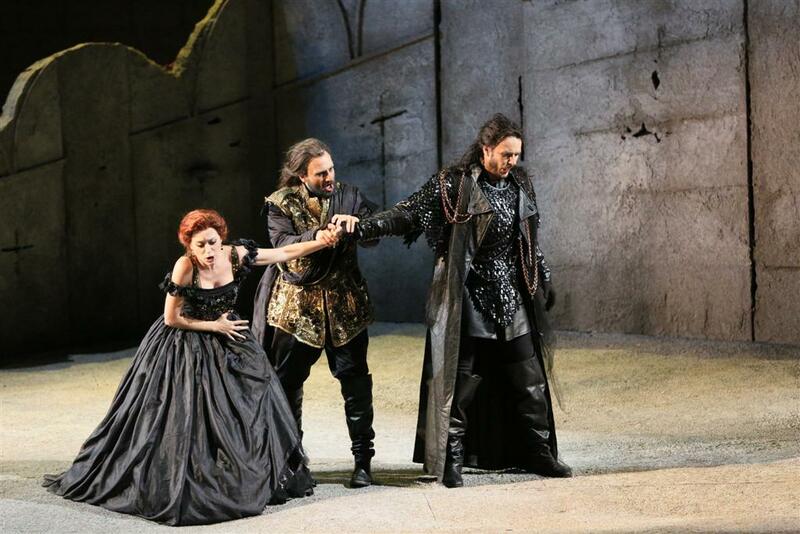 Vasa Stajkic is an attendible Tebaldo, Giulietta’s husband-to-be. With Corrado Casati as Chorusmaster, the Coro del Teatro Municipale di Piacenza gives a very good performance in terms of harmony, volume’s balance and dynamic control. 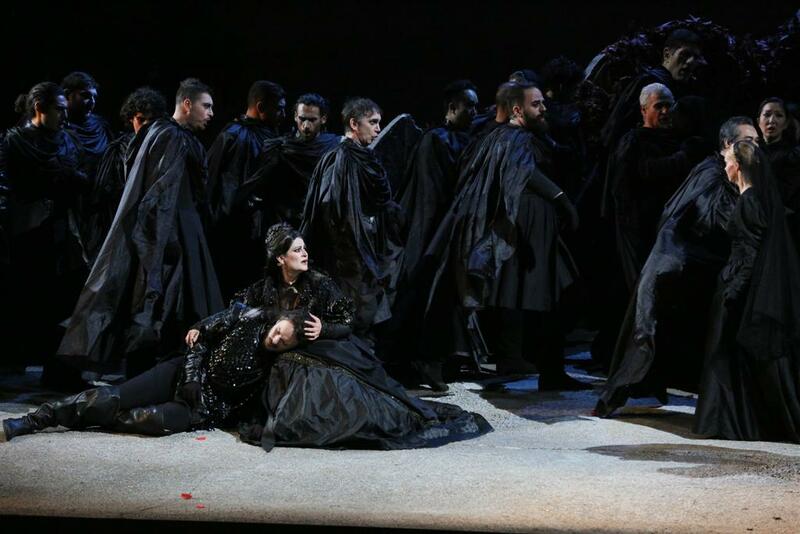 Sesto Quatrini conducts with force and motivation the Orchestra dell’Accademia del Teatro alla Scala, giving the right emphasis to lyrical, pathetic and more intense moment. Unfortunately, Quatrini has chosen to use Recitativi accompagnati (with orchestral score, composed by himself) instead of the original Recitativi secchi (with the only harpsichord, as in the original Vaccaj’s score). 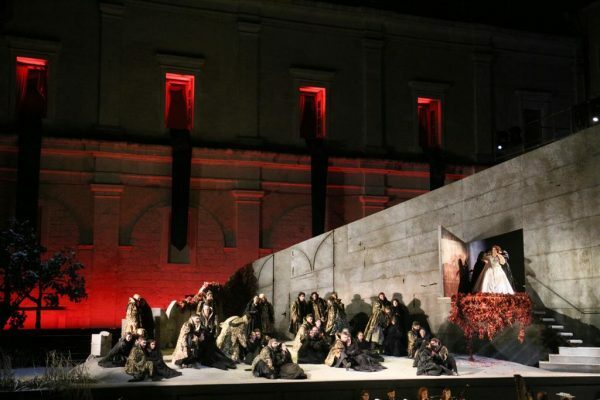 An inexplicable choice for an occasion like Martina Franca, where research and respect of the original score should always guide every performance. At the end, enthusiastic success with real ovations for all the members of the cast.